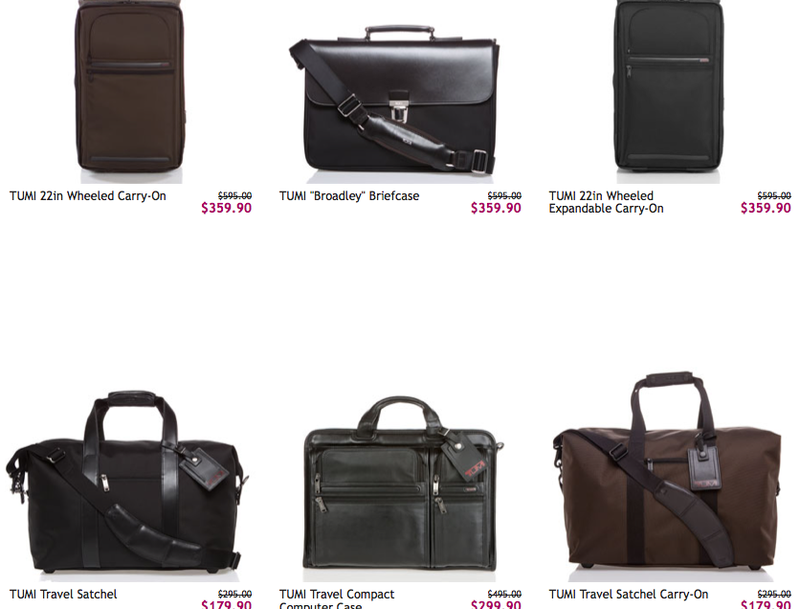 One of today’s boutiques on Ruelala.com is Tumi. I got my rollerboard discounted through this site three years ago and it’s still (almost) as good as new. I personally love Tumi luggage – and no – I haven’t been paid by anyone for that endorsement. If you don’t have a Ruelala.com account, you need an invite because its technically a “private” site. Feel free to use my referral link – full disclosure I get a whopping $10 in credit if you end up buying anything. Registration is free. It’s pretty expensive normally, but I think the discount pricing makes it a great deal, especially since it’s such good quality. With everything in life, I recommend comparison shopping, but I think there are some good deals to be had through this sale. Rue La La has limited quantities and the best stuff usually goes first, so if you see something you like, don’t sit on it because it may be gone by the end of the day.